Showcase your content in beautiful hover effects with Emage addon for Elementor. Unlike other similar addons, it doesn’t offer a fixed number of effects and limited options. 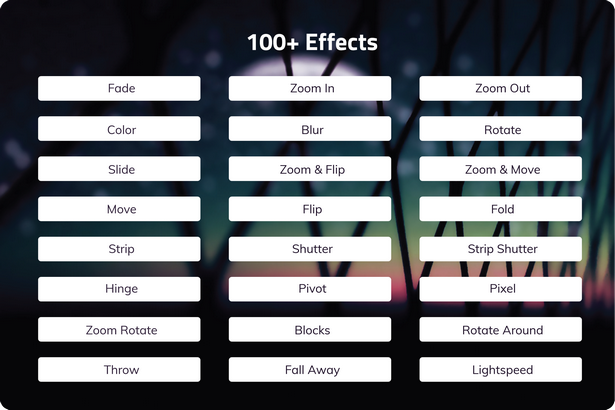 There are 150+ separate hover effects which can be applied to image, overlay and content separately which would create even more combination effects. With the intuitive options, your content can be designed the way you like it. With Emage Post Grid, included as a separate addon, the hover effects are taken a step further and applied to dynamic post grids. Easily create magazine-style post grids for your site with eye catching hover effects with this addon and Elementor columns. The addon has options to display post title, post data, author, comments, excerpt and category tags. The images automatically match height between themselves to look even better.